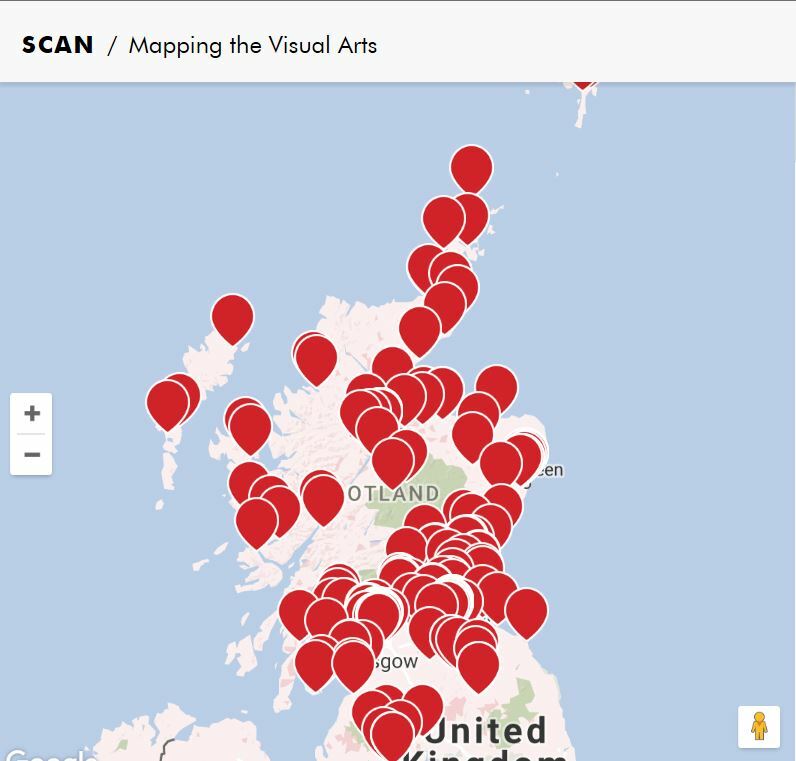 The Scottish contemporary Art Network (SCAN) has recently announced the launch of their project website Mapping the Visual Arts. An ambitious project, the purpose of this map in to help raise the visibility of a wide range of funded and unfunded art activities happening across Scotland today. This should hopefully be a useful tool for our students, as well as our staff and those interested in the cultural sector to conduct research, seek professional collaborations and to make connections with other artists across Scotland. SCAN was commissioned by Creative Scotland to gather information about different visual arts resources and professionals – including ourselves! – in Scotland in order to create a map of the sector that will allow people to quickly identify resources near them, as well as to contribute to the Visual Arts Review recently undertaken by Creative Scotland. 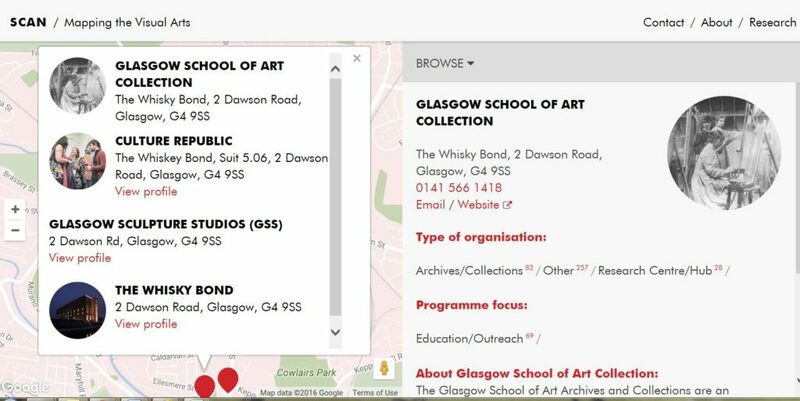 The map gives an overview of key Scottish organisations, institutions, galleries and artist-led projects that you can use to investigate the area you live in, or to seek out specialist organisations or groups. This map was created based on the input from different artists and art-organisations, as such it is not exhaustive. So take a look, and if you can’t see yourself contact Mapping the Visual Arts!